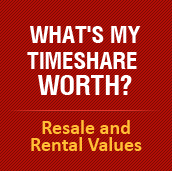 Timeshare rentals are great vacations! With their many amenities, timeshares are the perfect lodging for families with children, couples or groups of friends planning a trip or excursion. A time share suited for your next ski, beach, golf, fishing, or tennis excursion is easy to find on this site. Looking for a Florida timeshare or a rental in another vacation hot spot? Type in a location on the top of this page to search for available rentals and have a wonderful vacation! At MyResortNetwork.com, you can rent a condo at a resort that is less expensive than a hotel but is much more comfortable and spacious. A time share resort usually has more amenities than a hotel. You can also buy a week at a great price. The time share resort index lists all resorts. 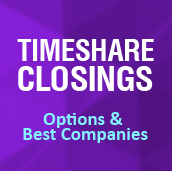 A long one page list that takes a while to load but lists all timeshares is here, but the time share resort index is quicker. Disney Vacation resorts for listing your week, or finding a rental, or a resale are listed here. If you already own a week or points, you can use MyResortNetwork.com to post your time share for sale. You can also post your week for rent - there is a nominal $19.95 charge for fixed rental ads ($24.95 for floats) and $34.95 for sale ads. By posting your getaway ad on this site, you can rent it out and keep all of the rental proceeds. You keep 100% of the money with no commissions, annual fees or hidden charges. We actively market the owner's property through other websites, mailings, and advertisements. This site has hotels and resorts for most cities as well as vacation rentals by city and resales by city. You can search for a list of all timeshares by state or country. RCI resorts and Interval International Resorts are also represented on this site. To assist owners, buyers, and renters, we have a section on closings, transferring a transfer and paperwork . We also have a quick way to find your timeshare resort. To assist purchasers, we have a section on financing. For advertisers, we have a section on advertising and businesses and a section for brokers, agents, resellers, and realtors. We have added a lease or a short term rental agreement as well as a sales agreement or sales contract for our customers. Also, check out our list of discount getaways for ownership, and tours.